As an alternative to the Tensabarrier system, Atir Design has always manufactured high quality portable barrier posts. 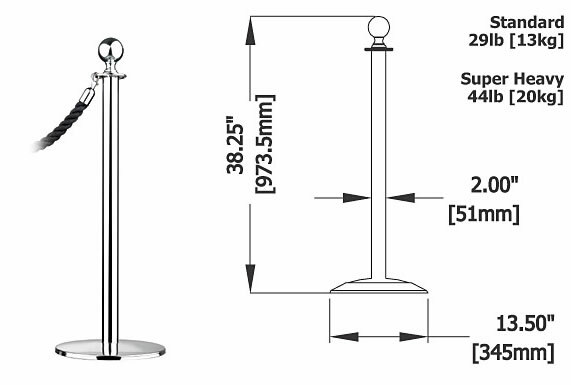 This post system not only offers cost efficient installation, but also enables you to create a totally flexible railing system for your traffic guidance and queue control needs. The ease of which this system can be set-up also enables you to modify and relocate the barrier posts and ropes at any time as the need arises. 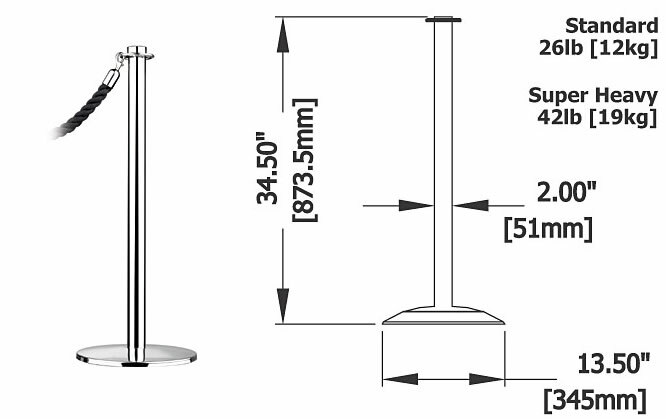 From well designed clean and functional lines through to the strength of welded construction, these barrier posts guarantee many years of trouble free service. 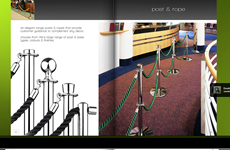 Venues such as Theatres, Hotels, Museums, Restaurants, Banks, Retail Stores and exhibits are but a few of the countless users relying on these attractive barrier posts and ropes for their modern design and dependability.